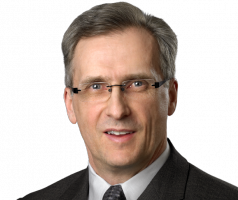 Dr. Stanley Kurisko joined Consulting Radiologists, Ltd. (CRL) as a Diagnostic Radiologist in January of 2002 after completing his fellowship in Neuroradiology at the University of Calgary in Alberta, Canada. He received his undergraduate degree from the University of Guelph in Ontario, Canada, and his medical degree from the University of Ottawa School of Medicine in Ontario. After completing his first residency in Family Medicine at the University of Ottawa, Dr. Kurisko went on to complete a second residency in Diagnostic Radiology at the University of Manitoba in Winnipeg. Dr. Kurisko enjoys the intellectual challenge of diagnosis and the opportunity to make a meaningful contribution to patient care with CRL. When not working, he loves spending time with his family, writing, reading, exercising, and engaging in public dialogue about health care reform.